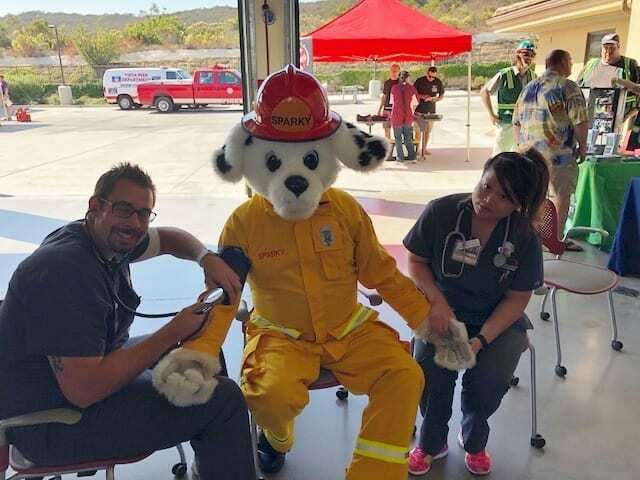 The Vista Fire Department held an Open House at Station #5 on Saturday October 14, 2017. 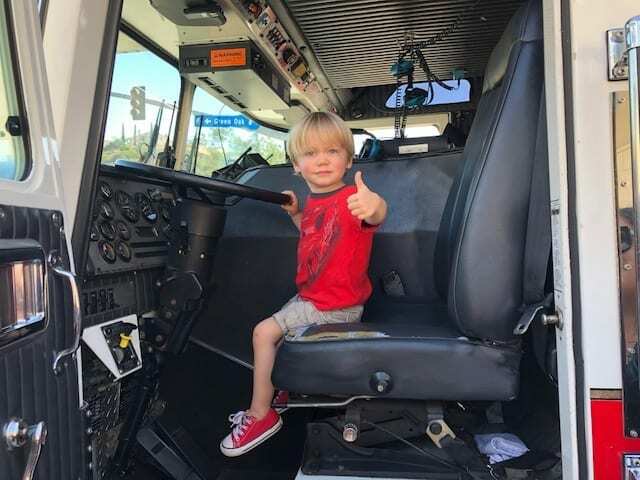 There were many families that visited the station including children excited to sit in the driver seat imagining that they were driving the fire truck. 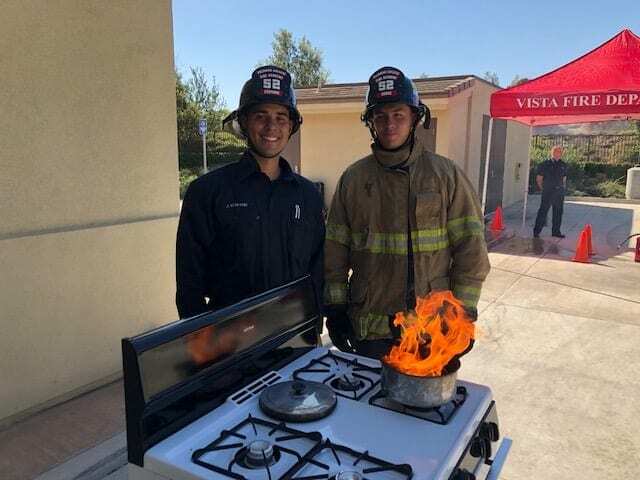 There was demonstrations on how to perform CPR and the quickest and safest way to put out a stove top fire. All the children received fire hats. 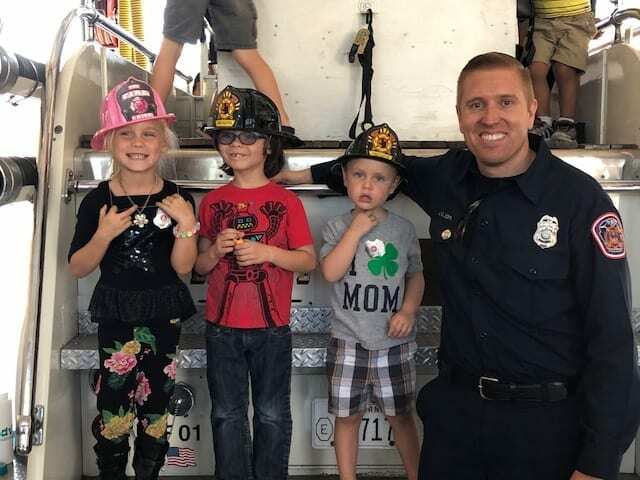 The fire personnel had pink ribbons on their shirts, supporting Cancer Awareness Month. 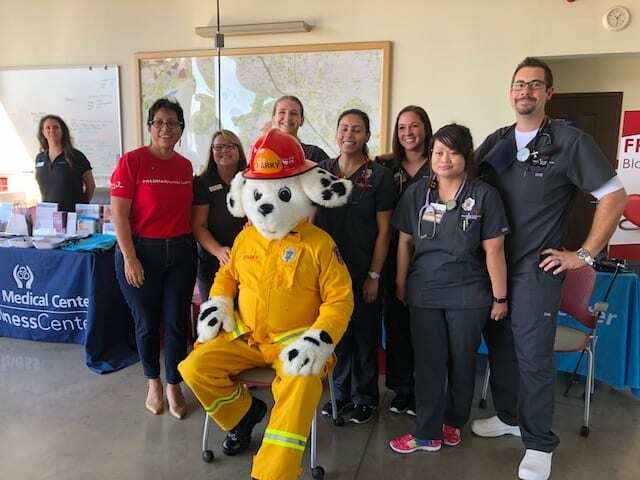 Sparky was there to take pictures with children and adults alike. Tours of the firehouse were given showing where the firemen sleep and study. 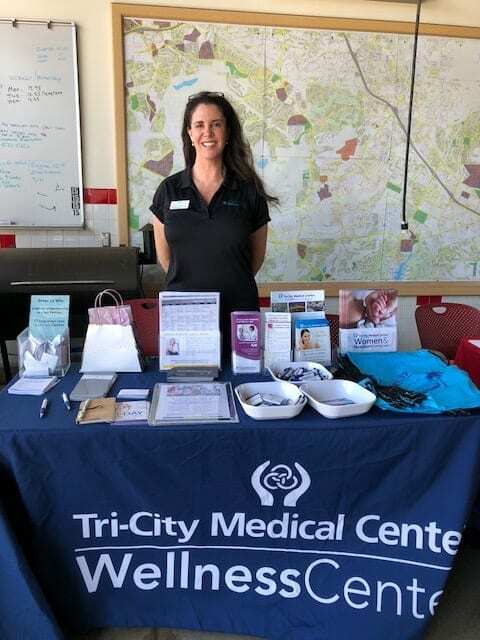 Blood pressure testing was given by the Palomar Nursing students. The theme of 2017 Fire Prevention Week “Every Second Counts: Plan 2 Ways Out!” highlights the importance of creating and practicing a home fire escape plan. Together with working smoke alarms, home escape planning can protect you and your family in a fire incident. Be safe out there! 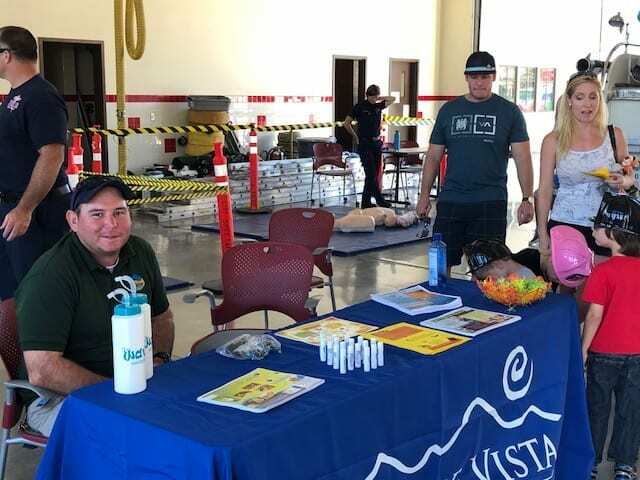 The Vista Fire Department serves the residents of the City of Vista and the Vista Fire Protection District. 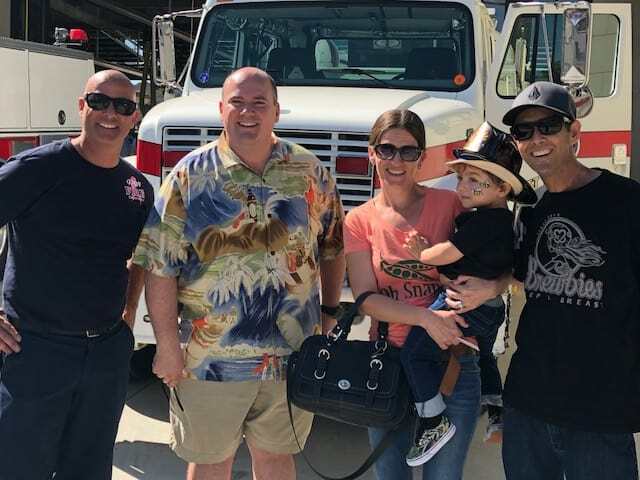 The Fire Department is a full service department, providing services ranging from fire prevention and suppression, to emergency medical services, to technical rescue and hazardous materials mitigation. 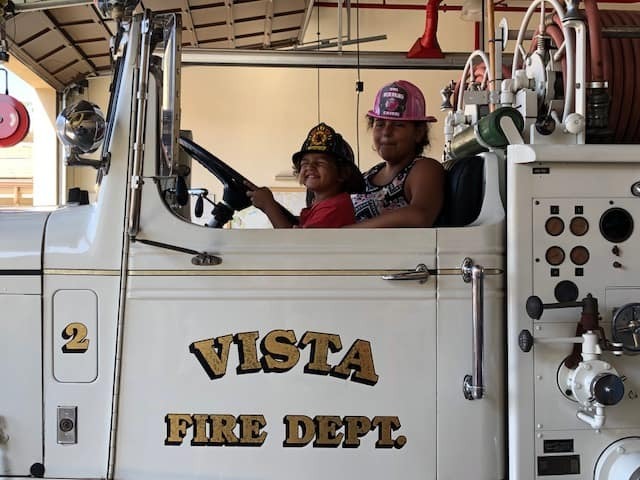 Operating from six strategically located fire stations, Vista Fire provides the highest quality of service to both residents and visitors.